The Ltd is the United Kingdom equivalent of the Dutch BV company. This UK Ltd is often used in the Netherlands and sometimes mis-used by lack of understanding the rules. How to use your UK LTD in the Netherlands? The moment you start to use your UK Ltd in the Netherlands for your activities either by starting a contract in the Netherlands via the UK Ltd or you set up an office in the Netherlands and you, the director of the UK LTD operate in the Netherlands, the UK Ltd becomes subject to corporate income tax and value added tax rules in the Netherlands. The UK Ltd becomes a Dutch resident company and therefore subject to Dutch corporate income tax the moment the director is a tax resident in the Netherlands. When that is the case, the Dutch rules towards the minimum salary requirements etc apply. This is not often fully understood. The court ruled recently over a British couple that operated in the Netherlands through their UK Ltd company. The company was registered in the year 2007 with the UK companies house at the address of the UK accountant. The employment agreement was based on a Dutch address and that employment contract was also the basis of the 30% ruling application. Both the husband and wife were granted the 30% ruling. The 30% ruling is to cover the extra costs expats have for moving to the Netherlands. The 30% is the maximum and an employer should not reimburse the employee besides the 30% ruling more extra territorial costs. And that is exactly what the couple did do. They enjoyed the 30% ruling and they reimbursed themselves double housing costs, living allowances and a fixed amount of general costs reimbursement. None of these reimbursements are legal, but they were processed for the period of 2009 to 2013. At least, the audit was for this period and hence noticed. Moreover the husband and wife granted themselves a directors fee from their UK registered Ltd to themselves that was not included in the Dutch wage tax return. As it was clear they were residing in the Netherlands, the rules is that all they earn is subject to Dutch tax. There is a tax treaty article about directors fees, but that does not apply either, as the company was a tax resident in the Netherlands. The Dutch tax office calculated the wage tax due over the non-reported income and wrongly deducted reimbursements for EUR 125.000 and increased that amount with 25% penalty. The couple made a complaint in court against the assessment and penalty issued by the tax office. They claimed to be a UK resident company. But the court was clear on the case. The couple owned the house they lived in in the Netherlands, that makes them having their central point of life in the Netherlands. 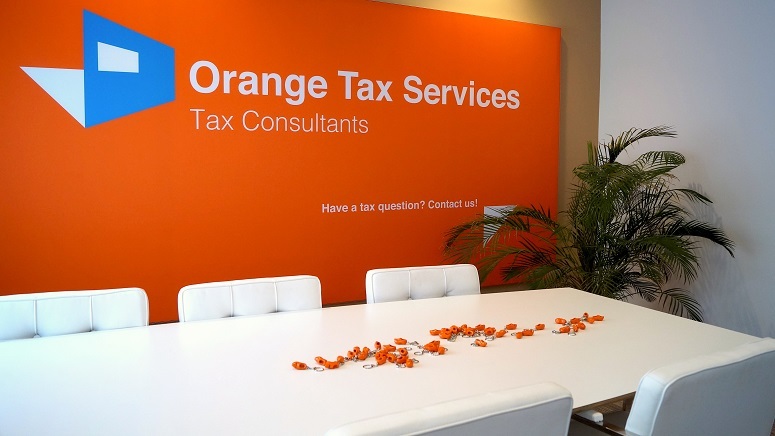 As they are the director of the company and the tax residence of the company is determined by the tax residence of the directors, the company was a tax resident in the Netherlands. Moreover, the court noticed that the employment agreements which were the basis of the 30% ruling applications showed a Dutch address as the employee/director home address. Then, the employment agreement mentioned a Dutch address as the UK Ltd company address. In the UK Companies House the Dutch address was reported as their home address. In their UK income tax return they reported living in the Netherlands and claimed not to be due any UK income tax over the directors fees paid from the UK company, as this was income earned while living abroad. In the Dutch income tax return the Dutch address was reported as their home, hence mortgage deduction was possible. Their children went to a Dutch school, which makes the statement of them being a Dutch resident stronger. None of the arguments of the couple was valid. You can use your UK Ltd in the Netherlands, but you need to understand some of the basics. If you as shareholder director of a foreign company become a resident in the Netherlands, or you have a job via your company in the Netherlands, then not only you but also your foreign company have become a tax resident in the Netherlands. The rules we have in the Netherlands are not only for the Dutch, that would be discrimination. They are for all tax residents in the Netherlands. You and or your company are more quick a tax resident that you would think. Then it is key to comply and if you are not sure how to comply or if you should comply, you need to contact an expert. We are such an expert. On a daily basis we ask ourselves in client contact where is the fiscal residence of the client or his or her company. If that question is skipped, then you get court cases as you could read above. Mind also the timeline please. The audit was over the period 2009-2013 and only now, late 2018, this case was decided. Nearly a decade has passed when you are charged with the correct amount of tax. You might not expect that at all, hence a good setup is crucial for your future financial planning.